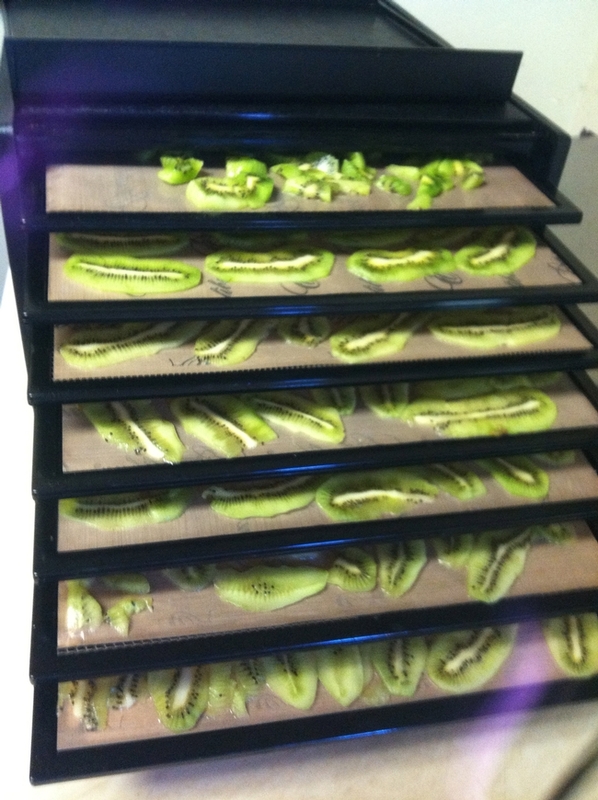 I am in love with my Excalibur Dehydrator. When I had dried persimmons at one of the fall classes, I knew I couldn't live without one. The exciting part is taking advantage of seasonal abundance. Who can resist a case of anything at $10? 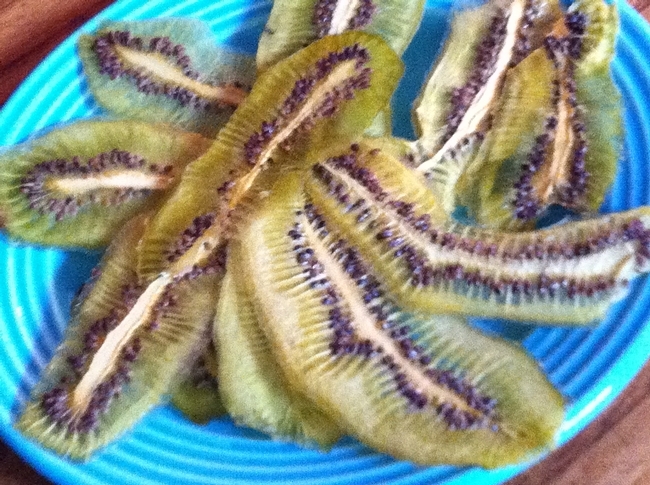 Especially when it's these crazy kiwis from Soledad Farms at the Hollywood Farmer's Market. 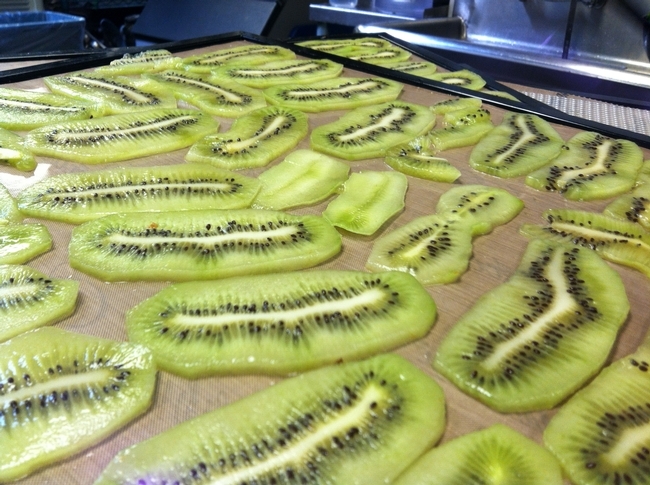 As you can see, these kiwis don't make it to the grocery stores because of their odd shape. Mostly they look like two grew together as one. I sliced them on the thickest cut of the mandoline and loaded up the dryer. I set the timer according to the directions and the next day I had amazingly tangy kiwi candy. It's addictive and intriguing with it's thin, translucent appearance and dynamic black seeds.